A relaxing and rejuvenating foam bath. Luxuriate in Green Tea and Grapefruit scented bubbles for a lovely relaxing bath. 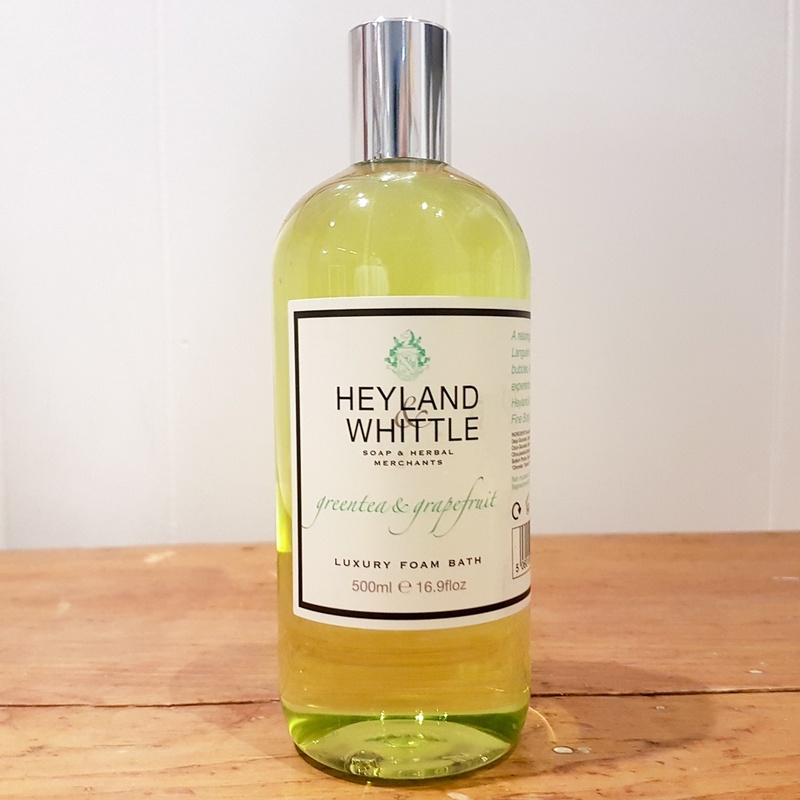 Size: 500ml bath foam by Heyland & Whittle, made in England.